It’s every parent’s literal worst nightmare: finding a child dead by his or her own hand. In the case of Gabriel Taye, a toxic school environment in Cincinnati, filled with bullying, physical abuse, and exclusion led to the 8-year old hanging himself. His grieving parents have been left asking, what could have been done? They assert that Gabriel’s school failed to prevent the intense and brutal bullying Gabriel endured, remaining deliberately indifferent to a fatal threat to the life of a child. The Taye family turned to the legal system to hold the district accountable. Children spend half their waking hours during a school week in school under the care of teachers, administrators, and employees acting, hopefully, in their best interests. A few staff members may see bullying as a mere rite of passage, or be indifferent to the suffering of children. However, national guidelines dictate that school employees at every level have certain duties in this area, to not only respond to bullying and harassment as they occur, but actively to work to prevent such occurrences through frequent formal and informal lessons and behavioral modeling. This is a wide departure from prior decades’ approach to child psychological wellness, though a sorely needed one. These duties are not simply implicit: failure to proactively address bullying and harassment can and does result in children’s deaths, and districts’ liability in wrongful death suits, like Gabriel’s. This isn’t the first case of its kind; at least two other wrongful death lawsuits have been settled between parents of bullied children who killed themselves and criminally negligent school districts in the past four years. The Arizona Department of Education publishes extensive educational material for all employees on the serious nature of harassment and bullying in schools. However, as the Taye’s case and the prior two settlements indicate, these are not isolated incidents. The prevalence and severity of bullying of children by other children, up to and including physical violence, should never be minimized. 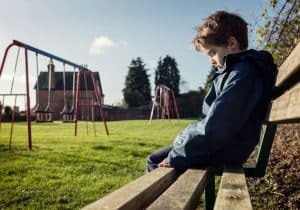 While only a small percentage of bullied children commit suicide, these cases demonstrate that schools not only have the moral obligation, but also the legal one, to educate and enforce anti-bullying measures for children of all ages, or face wrongful death charges. We know that any loss of a loved one or a family member is devastating. When the loss or death was preventable, it can feel like no one is on your side. The empathetic Phoenix wrongful death lawyers at Plattner Verderame, P.C. are here to help hold the guilty parties accountable in these tragic cases. For more help, please contact our dependable, knowledgeable trial lawyers by calling 602-783-8793 or filling out our contact form.